Located in Arabian Sea, the islands of Lakshadweep are spread up to 32 square km in area and are a composition of 36 islands in total. 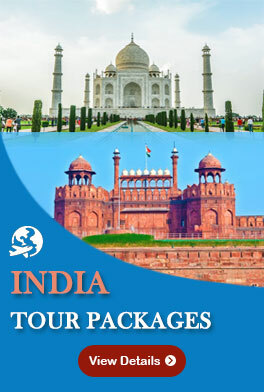 It is located between 71º -74º East longitude and 8 º- 12 º 13" North latitude. Lakshadweep is the only known series of coral islands in the sub-continent. The average elevation is just 0.5 to 0.7 meters above sea level. 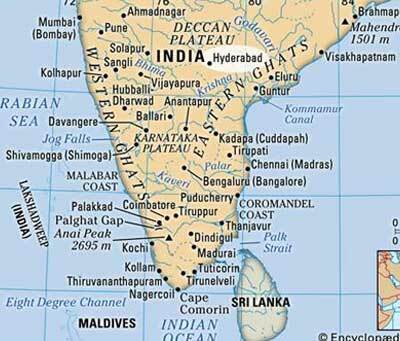 Out of the 36 islands 26 are uninhabited by humans. 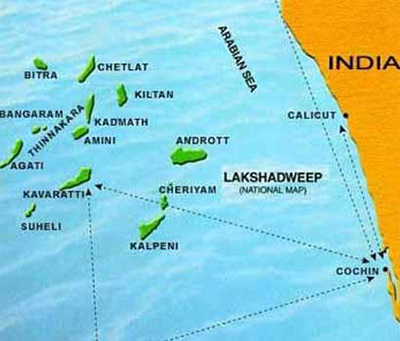 Lakshadweep is at a distance of approximately 224 to 240 Km away from the city of Cochin, situated along the coast of southern state of Kerala. 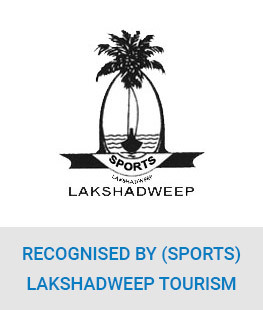 Lakshadweep is a large territory as it has 20,000 Sq.km of territorial waters, lagoon area of approximately 4,200 Sq.km and 4 lakhs Sq.km of economic zone. The islands are rich in vegetation, hence, the combination of these beautiful islands are called Emerald Islands.